Sundays usually aren’t busy for the Habs in terms of transactions but this one is an exception. 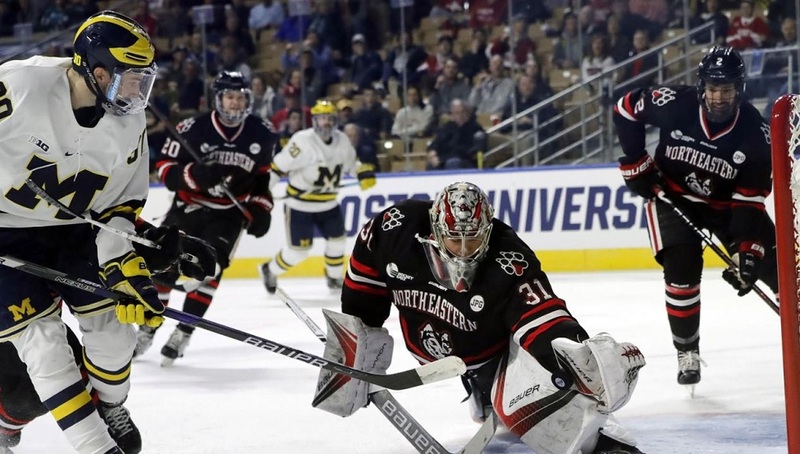 After inking Ryan Poehling earlier in the day, they signed goalie Cayden Primeau to a three-year, entry-level deal. Financial terms of the deal were not disclosed. Primeau was Montreal’s seventh-round pick (199th overall) back in 2017 after the Habs flipped their 2018 seventh-rounder to the Flyers to get him. The move looks like quite the coup already as the netminder quickly established himself as one of the top youngsters at the NCAA level. After a stellar rookie campaign, Primeau was equally impressive in his sophomore year at Northeastern, posting a 25-10-1 record with a 2.09 GAA and a .933 SV%. He also earned a spot on Team USA’s entry at the World Juniors. While he started out as the number two, he took over the starting job and helped the Americans make it to the Gold Medal game. Unlike Poehling’s deal, the contract doesn’t officially begin until next season so he won’t be eligible to suit up with the Habs down the stretch. However, he was eligible to sign a tryout deal with Laval which he has done and with the Rocket out of the playoff picture, Primeau should be able to get a few games under his belt before their season comes to an end.